Happy Monday! Hope everyone that experienced the snow blizzard over the weekend is staying warm and safe. We had no choice but to stay indoors all weekend and hopefully, we will return to normalcy as we dig out of the snow. The inches of snow we had rivals Nolan’s height; definitely a winter wonderland on the East Coast. I took the pictures on this post when the weather was great and beautiful. 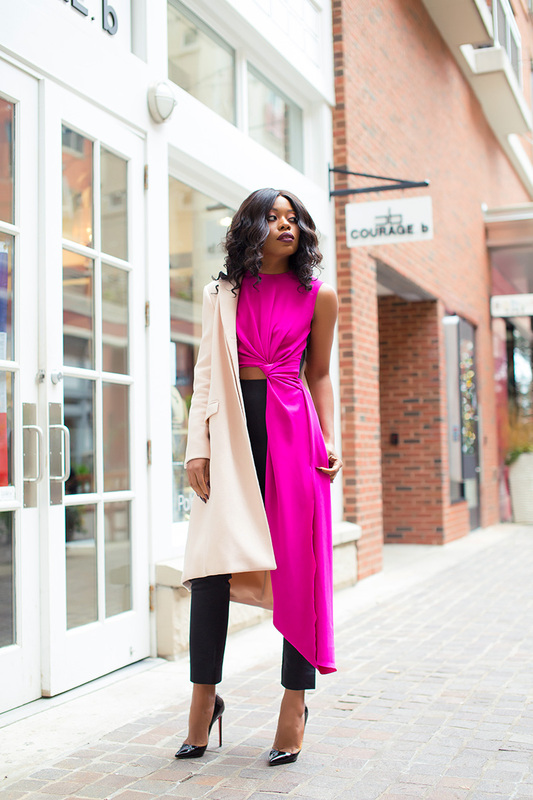 I had this Roksanda jumpsuit on my lust list for a very long time and I was lucky to buy it at a whopping 80% discount during a sale at "TheOutnet". 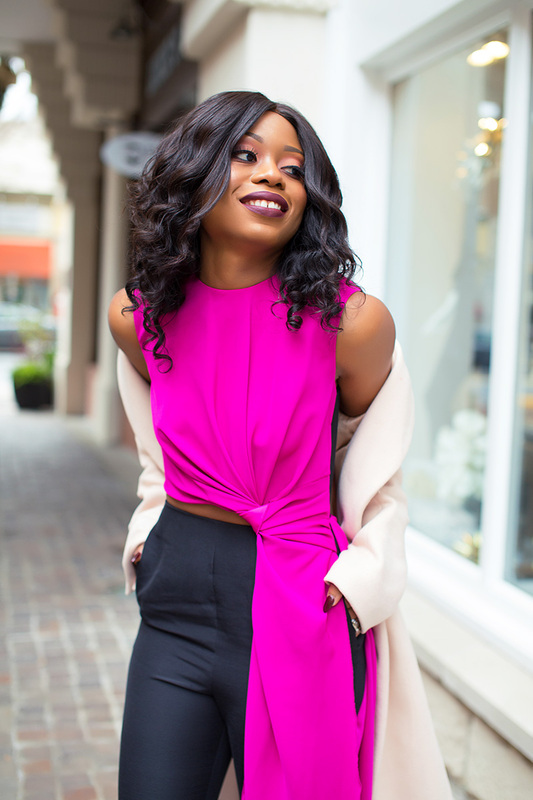 I love jumpsuits and the one on this post with the pink accent will make a great Valentine's Day look. In case you are into jumpsuits and searching for fun playsuits for the spring or an upcoming vacation, check out my favorites below. I love this look, it's so unique! I would never be brave enough to wear something so bright but it looks great on you! amazing outfit , really love the pop of color! It looks really nice. But the coat is covering the full beauty of it. Good job slaying this and the colours are really flattering.